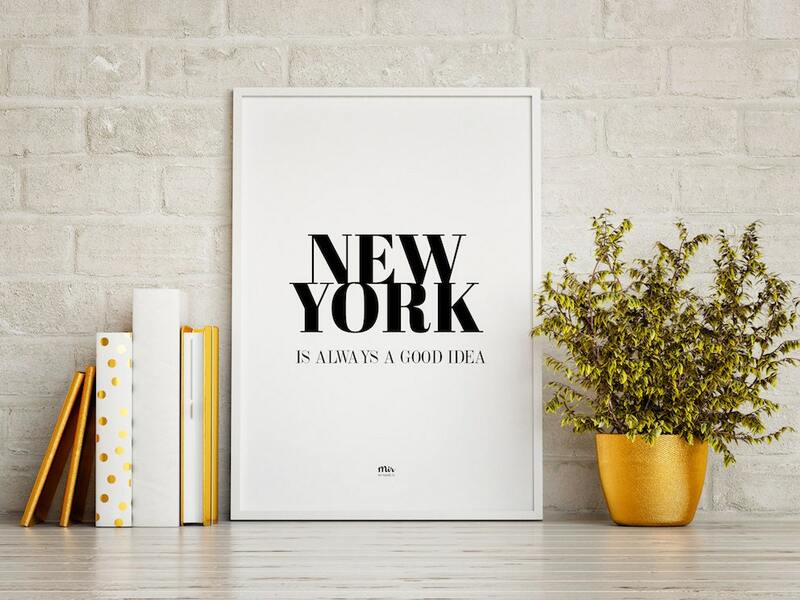 New York is always a good idea - right? Get and hang this modern, minimal and nordic design inspired typography poster - you will love it! The drawing is printed on 250gr high quality glossy paper. This provides an excellent image. This sizes match with the paper size in which the draw is printed, and for printouts in which the background is colored or black (anyone except white) there is a small white margin. If you need any other size let me know and I will send it made to measure for you. Très jolie AFfiche Merci !! !